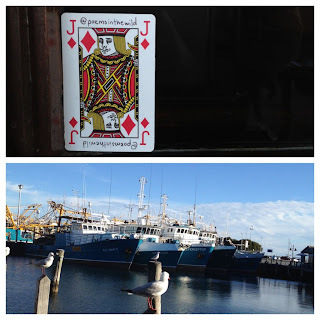 Slightly out of numerical order, but poems #20 and #21 have both been given to friends to release, and #21 (Jack of diamonds), given to Essie, Sajee & Arty to release in Perth was released first, so it is blogged first! narrows my track to parallel. this close to the end of the line?